We examined the effects of different methods of forest regeneration on the genetic diversity of lodgepole pine (Pinus contorta var ‘latifolia’) using two different DNA-based molecular markers [randomly amplified polymorphic DNA (RAPDs) and microsatellites or simple sequence repeats (SSRs)]. Genetic diversity was estimated for 30 individuals in each of four populations for the following three stand types: (1) mature lodgepole pine (>100 years); (2) 20- to 30-year-old harvested stands left for natural regeneration; (3) 20- to 30-year-old planted stands (4 stands of each type); and one group of 30 operationally produced seedlings. There was no significant effect of stand type on expected heterozygosity, although allelic richness and diversity were much higher for SSRs than for RAPDs. Expected heterozygosity ranged from 0.39 to 0.47 based on RAPDs and from 0.67 to 0.77 based on SSRs. The number of alleles per locus for SSRs ranged from 3 to 34 (mean 21.0), and there was a significant relationship between sequence repeat length and the number of alleles at a locus. Both marker types showed that over 94% of the variation was contained within the populations and that the naturally regenerated stands sampled had lower (not significant) expected heterozygosity than the planted or unharvested stands. 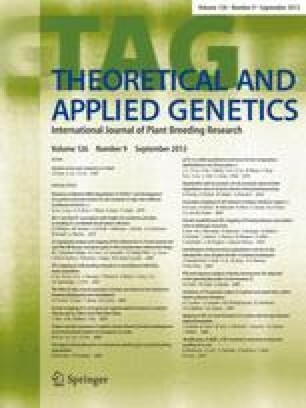 The group of seedlings (assessed by RAPDs only) had expected heterozygosity and allele frequencies similar to those of the unharvested stands. Genetic distance measures were higher than obtained previously in the species using isozyme markers. There was no correlation between the two marker types for pair-wise genetic distances based on populations analyzed by both methods. Pair-wise genetic distance measures and an ordination of allele frequencies for both marker types showed little effect of geographic location or stand type on genetic similarity.